Mitsubishi is to launch the Shogun Sport in the UK in early 2018. 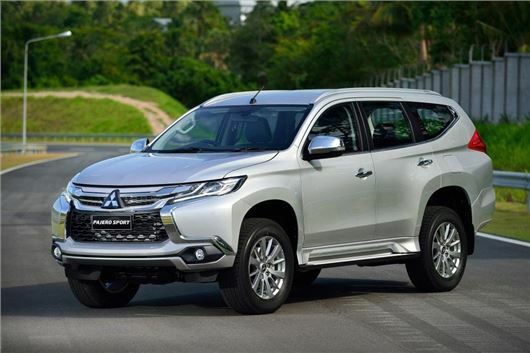 The model - known as the Pajero Sport in other parts of the world - has been on sale in the Far East for several years already. It's expected to cost around £30,000 when it arrives here in the spring. Based on the L200, the Shogun Sport is a seven-seater that's powered by the same 2.4-litre diesel from the pick-up. This delivers 180PS and 430Nm of torque through an eight-speed automatic gearbox. Mitsubishi describes the Shogun Sport as 'built for the most extreme family adventures' which is why it comes with lots of off-road systems as part of the grandly named Super Select II all-wheel drive system. These include hill descent control and a dedicated off-road mode, as well as trailer start assist. In the UK there will be two versions, both with a high specification. Each comes with leather seats, keyless entry and start, Apple CarPlay and Android Auto, LED running lights. The top of the range model adds heated seats, a bind spot warning system and a 'Multi-around Monitor System' which creates a bird's eye view around the Shogun. Handy for parking. As well as seven seats, the Shogun Sport will have up to 1488 litres of boot space. From the front it looks OK, but from the back,,,, its a pickup with a tail gate fitted, and some seats stuck inside. Those rear seats would have to be REALLY good to entice me into buying this. Currently, I own a Grandis; I dont like the rear seats in the replacement model, so been sticking with the old dame).